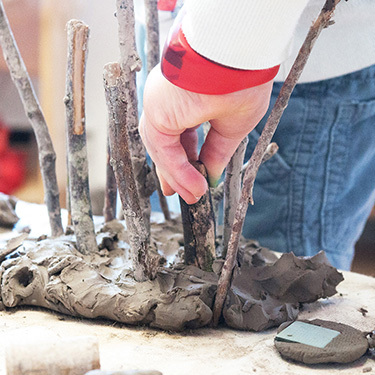 Our childcare team is passionate and inspired by the Reggio Emilia approach and philosophy. We offer exciting and stimulating opportunities for children and their families to grow in an environment that values full participation, self-determination and a belief in the unlimited potential of the child. We apply the principles and values of the Reggio Emilia approach in concert with the values of Frog Hollow Neighbourhood House. At Frog Hollow we believe that childcare plays an important role in a child’s development, family dynamics and is an essential support in our society. Our educators believe that children are competent individuals capable of creating their own hypotheses and reaching their own learning through a free exploration of their surroundings in a co-learning relationship with their educators and other children. Our educators recognize that the environment plays an important role in children’s learning. 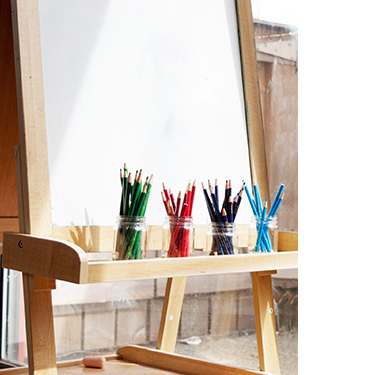 Our educators encourage free learning and safe risk- taking practices, by carefully selecting natural, open-ended materials & by providing home-like, comfortable settings equipped with the necessary stimulation and challenges. Our educators’ role is one of guidance and mentorship. They view themselves as co-learners with the children and believe that children are capable of making sound decisions when given the opportunity. They practice democracy and respect and invite children to be co-determiners of the program. Our children are free to question our rules and routines in the program and are encouraged to offer realistic alternatives. Educators are not considered protective babysitters, teaching basic skills to children, but rather, they are seen as learners along with the children. We believe that our educators are competent individuals, committed to building a better world through encouraging loving relationships and through democratic practices with the children in their programs. Our educators view children as researchers and become their partners in exploring and discovering the mysteries of the world through diverse authentic experiences, including nature, technology and experts in various fields. Our educators believe that children learn through multiple ways of seeing and “being”. Our educators pay close attention to the individual needs and learning styles of children and use a wide variety of tools and resources to acknowledge and respect each child’s individuality. Our educators work hard to create inclusive programs for the children and their families by promoting respectful, open conversations & a welcoming, supportive environment for everyone in our diverse community. Our educators are genially interested in making close relationships with the children and their families in their programs. They believe that learning can best occur when strong, trusting relationships are developed between all of the important players in the children’s lives, including their families, educators, and the community. Educators value families as partners in policy development and program design. Our educators do not create and impose a set curriculum for the children. They see children as capable and believe learning is reached best through building on natural discoveries and interests. This is sometimes referred to as “emergent curriculum”. They join the children in their daily activities and conversations and make notes of their interests and challenges. Our teams meet once a week to provide an opportunity for each educator to share and discuss their observations. Through these discussions our educators plan potential activities and project ideas to introduce to children & provoke their thoughts. 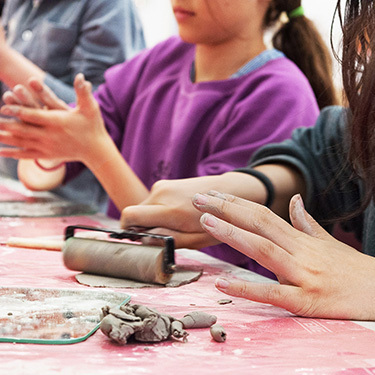 Our educators do not expect all children to join in every project, as they recognize children’s interests are often unique. They instead introduce several project ideas based on the observed themes, and watch as the clever children explore and expand on them with their questions and thoughts. Through a rich image of the child and respect for the hundred languages of children; through our partnership with parents and the community; through building trusting co-working relationship with the child; through creating stimulating and yet calming & relaxing environments & through observing, documenting and discussing, we plan to make Frog Hollow a second home for our children and families & we hope to make learning a fun and organic experience that will forever stay with the children we are so fortunate to share thoughts with.